Su-22UM3K Vietnam’s fighter supposedly been sent to Ukraine to carry out repairs and upgrading. Information on new military air Informant Military-page guide to sources Spotters.net.ua (Ukraine) said. Fighter Su-22M3K 8556 numbers are thought of Vietnam People’s Air Force is in Ukraine’s Zaporozhye. 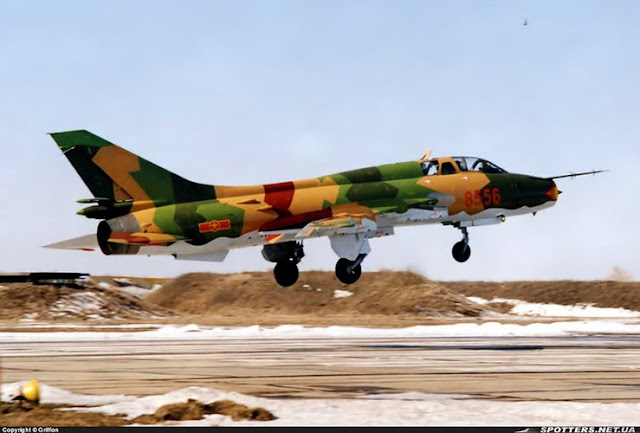 The source did not disclose how many Su-22M3K of Vietnam were sent to Ukraine for repairs. Only know through the images on Spotters.net.ua disclosed, at least 2 Su-22M3K. Su-22UM3K are two seats fighters bomber that can be used for part-time as combat trainer. Along with Su-22M3K number 8556 is a Su-22M3K bearing number 8551. According to the Military-Informant, most likely these images taken since 2007 but only now revealed. Su-22M3K and fighter Su-22M4 bombing of Vietnam is also rumored that could have been upgraded in Ukraine.